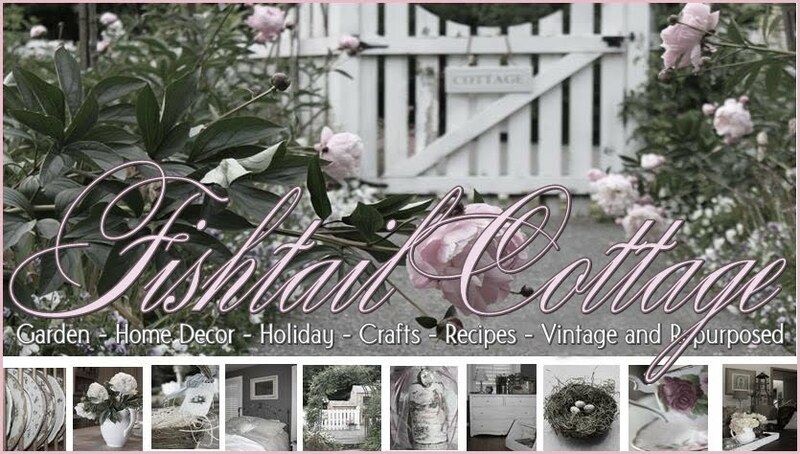 Fishtail Cottage: Epitome of Me… "
Yes, shabby distressed handmade frame. Bluebird photo’s printed and cut to fit into a vintage shop pricing holder. Antique scale with old books. White Flowering Current blooms filling a chippy flower pot. I don’t know what other elements I could add to this charming vignette that could be any more perfect! Just so peaceful to me to see when I walk in my family room! I agree, the vignette is just gorgeous! Love the chippy shabbiness of it all. You have a winner there! I think it's just right. Gorgeous. Peaceful and relaxing and oh so spring. Lovely. I host a weekly link party called Seasonal Sundays and I'd love to have you join. The link goes up at 7 pm on Saturday evening. Your vignette is so dreamy! Love all of the pieces. 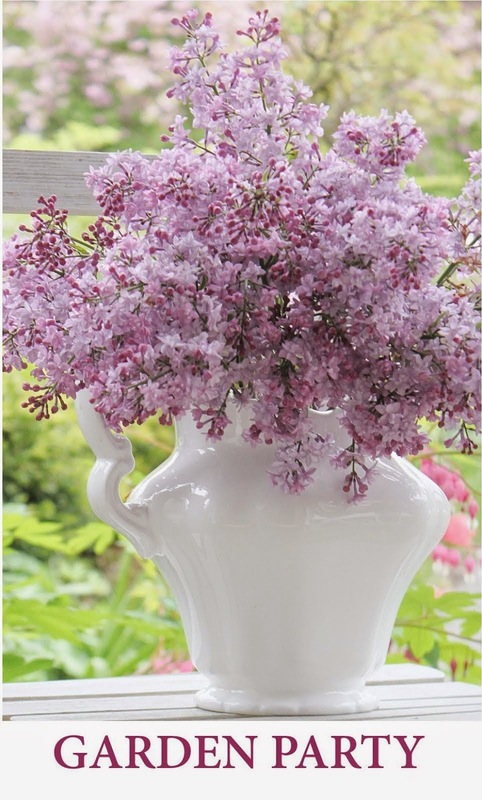 Coming over from French Country Cottage and a happy new follower! Such a serene look for a living room, love the birds in the frames! This vignette has everything I love. Your vintage shop price holders are so great for showing off favorite photos. What a charming vignette, Tracie. Just love it all! And those adorable little price tag frames!! You just added that wonderful special touch of yours!! So beautiful! It would make me happy to walk into your family room and see that as well.